Only 5000 copies of this special promo LP were pressed in 1967 and distributed to USA radio stations. It is the rarest original Stax LP. It is the first time it has been reissued on CD. 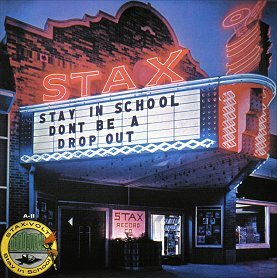 Whilst it is not exactley the same as the oringinal LP (Mono) it is still a nice tribute to the Stax artists who made it. An original sealed LP was sold for $500 on Ebay in 2004. This CD has been issued in Japan on Soul Walker 3, Victor VICP-62929 in January 2005.